T-Mobile UK will offer a BlackBerry for a one-off fee of £179.99, throwing in a year's unlimited email and internet access with calls charged at pay-as-you-go rates. 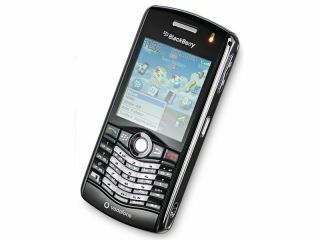 The offer from T-Mobile will encourage a big push in the consumer market for RIM's BlackBerry device, with young people in particular being targeted. The lack of a contract will no-doubt appeal to the many people who do not wish to be tethered, although the phone could become an expensive option should a low-cost dataplan not be found at the end of the 12-month free period. "Our innovative new pay once concept means that a whole new group of customers can take advantage of the fantastic features of a BlackBerry smartphone without the commitment of a monthly contract and without worrying about how much data they are using," said Richard Warmsley, head of Internet and Entertainment at T-Mobile UK. The phone being offered by T-Mobile is the silver BlackBerry pearl 8110, which arrived last year and includes GPS, but is certainly not as consumer friendly as the popular Storm or Curve handsets. BlackBerry phones, once the domain of the business user, have increasingly become a popular handset with consumers, as RIM brings out sexier handsets to compete with the likes of Apple's iPhone.